New video about the heritage of La Mer, the process and promise. 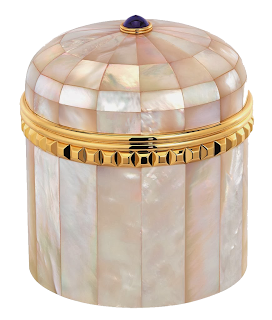 "La Mer (The Crème) is extravagant and feels so luxurious on your skin". 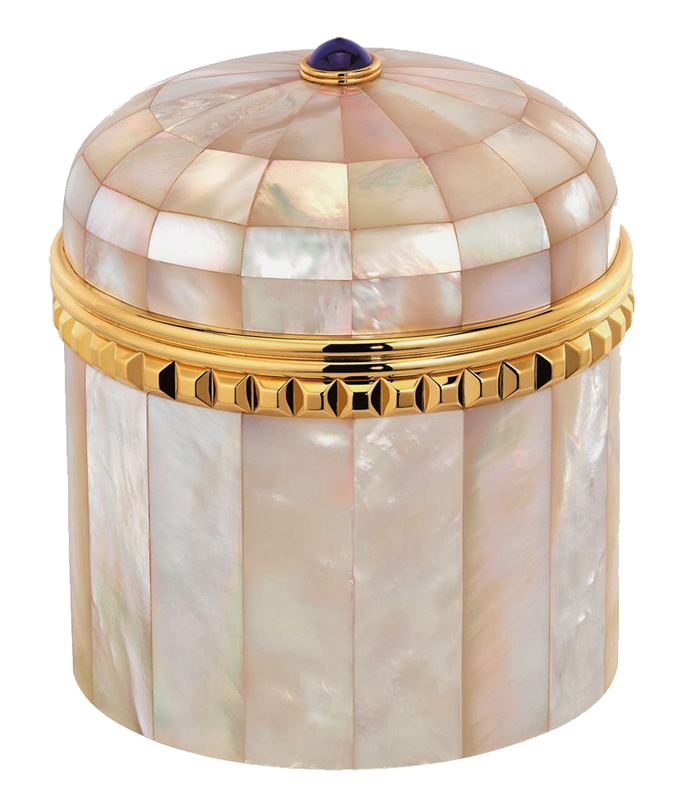 Only $15,000.00 for this extremely limited edition gold-plated Boucheron Case, with Crème de La Mer and completed with a saphire, made to order. 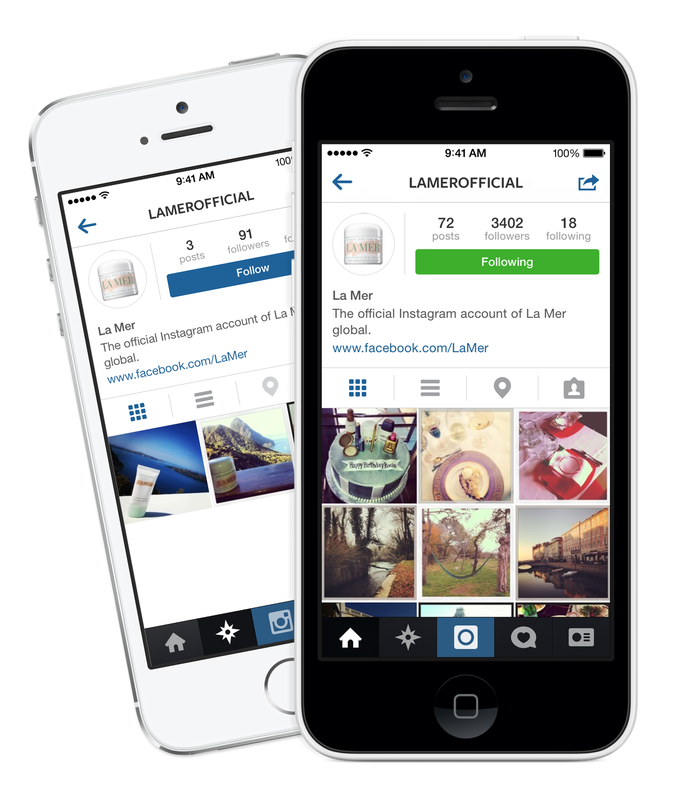 @LaMerOfficial is growing rapidly on Instagram, currently with more than 3,000 followers. Editors in chic for La Mer post about official La Mer products and events, with the occasional competition - follow @LaMerOfficial, and also @MyCremedelaMer on Instagram. 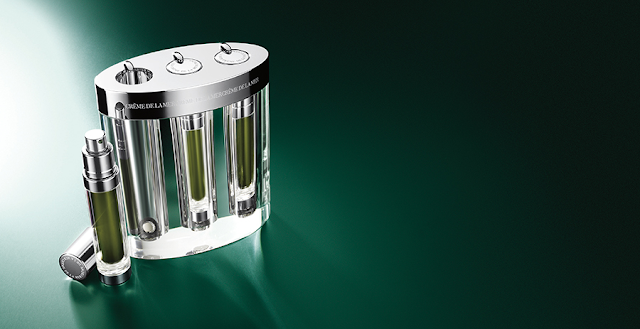 Enhanced ritual on applying your La Mer Eye Treatments. Also see How to Apply La Mer Eye Treatments Video. Songbird, producer and actress Mariah Carey is on the My Crème de la Mer Celebrity List, for using La Mer. 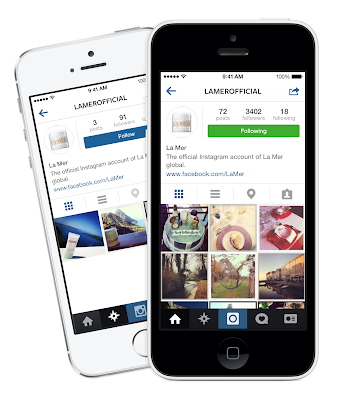 Mariah also uses La Mer as diaper cream on her twins and appears in the On Location with La Mer video. Crème de la mer's video on applying The Treatment Lotion with cotton. Also see La Mer Treatment Lotion Application. Sharon Stone buys it by the Louis Vuitton trunkful, it is by invitation only. Crème de la Mer The Essence. The Essence will be available online at LaMer.com soon.